A Limousine Service can be extremely useful for local travel. It can highlight a wedding ceremony, make a night on the town convenient and memorable, and it can be a powerful presentation in business settings that will promote one’s image and success. A well- equipped and managed Limousine service offers vehicles and staff matched to the situation. Business travelers and business arrangements require a certain dignified, formal appearance; this is quite different from the bachelorette party for a medium to a large group. Wedding arrangements might require additional time and distance flexibility and so might airport services. For such different circumstances, limousine company services must be flexible and well managed to meet the customer’s needs. The right equipment is the place to start. It is necessary to match the vehicle to the expected number of passengers. It is better to have a slightly larger vehicle than one that is too small. The features are next, from basics such as water and ice, to particular requests such as snacks or individual needs. For the night out engagements, a booming sound system and music selections may be quite valuable to the occasion, to emphasize the fun or to blend-in with the themes. Customers can request music or present their selections for play. The time requested for the vehicle must also be flexible to allow for more time, or more venues than expected, if needed. Large vehicles must have a favorable configuration, for example open group seating may be preferable to rows. The personnel assignment is also critical to a successful limousine engagement. Some events are quiet and sedate; others may be loud and filled with party goers. It is essential to state the nature of the event such as a wedding, or graduation party. Whether the event requires some DJ services, driving in residential areas, or remote areas are also useful facts for the provider. Experienced personnel are necessary for a smooth functioning event. The more information the limousine company has, the more likely to assign the best personnel for the job. Business or social uses, one can set the services to the requirements of the engagement. Business services might include communications and flexibility to add or change the itinerary. No two events are exactly alike, the preferences, tastes, and needs of the customer and guests differ in each situation. When selecting a limousine company, one should carefully consider the things that would make the experience better. Whether foods, snacks, wines, beer, or soft beverages, one should ask for the services and tasks that would enhance the experience. One can then decide on a package based on costs and availability. Before selecting, one should research customer satisfaction measures and look for complaints. Not every comment or complaint will have merit, and some people are prone to blaming others; however, the information is useful and can help prepare an agenda for discussion and questions for clarification. Positive feedback is always welcome, and it is an excellent sign when customers go out of their way to leave appreciative comments. 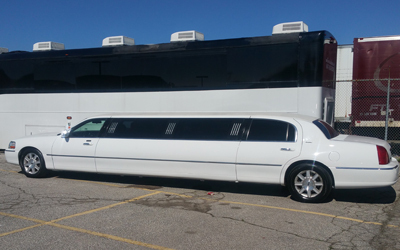 We are your one-stop limousine company providing limo and party bus rentals for corporate transportation, airport transfer and special occasions. © Copyright 2019 ABC Limo. All Rights Reserved.